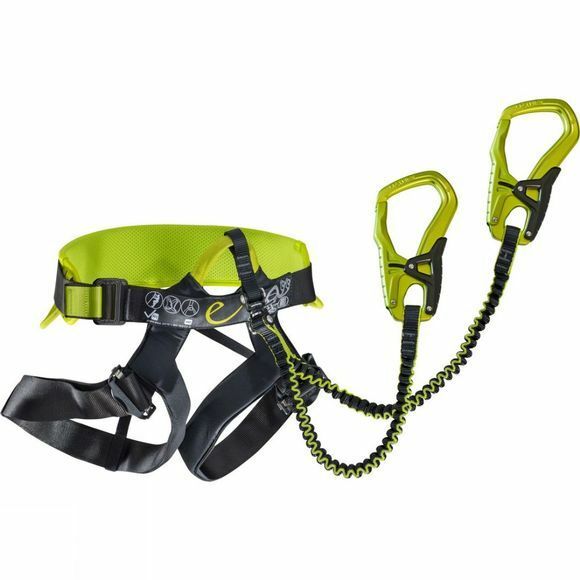 The Jester Comfort Harness from Edelrid is a harness and via ferrata set all-in-one. We integrated the energy absorber into the leg loops. As the energy absorber remains well out of the way, it offers unparalleled walking and climbing comfort.